Less than five percent of the students who apply to Michigan State University’s doctoral program in clinical psychology receive offers of admission. Lilianne Rothschild, a 2017 graduate of Gustavus Adolphus College, is one of the few who did. Now, as she heads into her second year in the competitive program, she’s also been named a winner of the Graduate Research Fellowship (GRF) from the National Science Foundation (NSF). To do this, Rothschild studies data gathered through questionnaires, behavioral computer tasks, and electroencephalograms (EEGs). 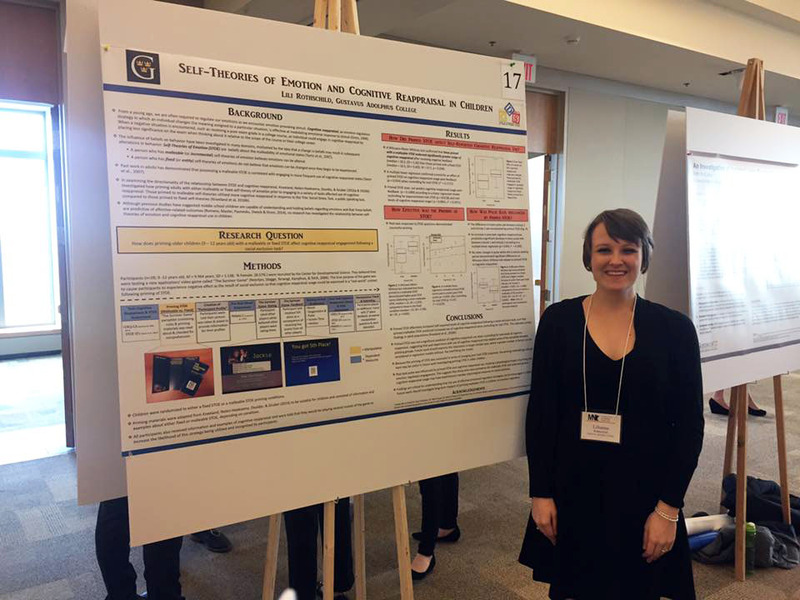 In addition to her research interests, she is also receiving clinical training in psychological therapies for mental health disorders such as anxiety and mood-related conditions. “Lili is an extremely dedicated and motivated student,” said Gustavus psychological science professor Kyle Chambers, who leads the department’s Center for Developmental Science. 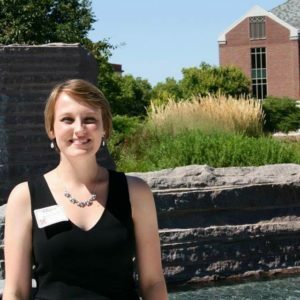 During her time at Gustavus, Rothschild worked with Chambers and other psychological science professors to complete two independent research projects focusing on issues of emotional regulation and anxiety in children while also singing in the Gustavus Choir, taking private voice lessons, serving as an admission tour guide, and interning in the Community-Based Service Learning office. “She’s one of those students who doesn’t come along very often,” Chambers added. But Rothschild points to the four-year residential experience on the hill as one of the keys to her success. The GRF program will provide Rothschild with three years of financial support ($34,000 annual stipend and $12,000 cost-of-education allowance to the graduate institution) as she completes a graduate-level independent study that will further explore how worry might impact the ability to control attention. To learn more about the program, visit the National Science Foundation Graduate Research program website. Be engaged in the Gustavus community. I believe that learning is passing on what you learn to others, understanding the world around you, and becoming a more well-rounded person. Don’t forget to take part in extracurriculars you are passionate about!